Popper's Polonaise de Concert has always been a favorite of young cello students eager to display their passion and virtuosity. 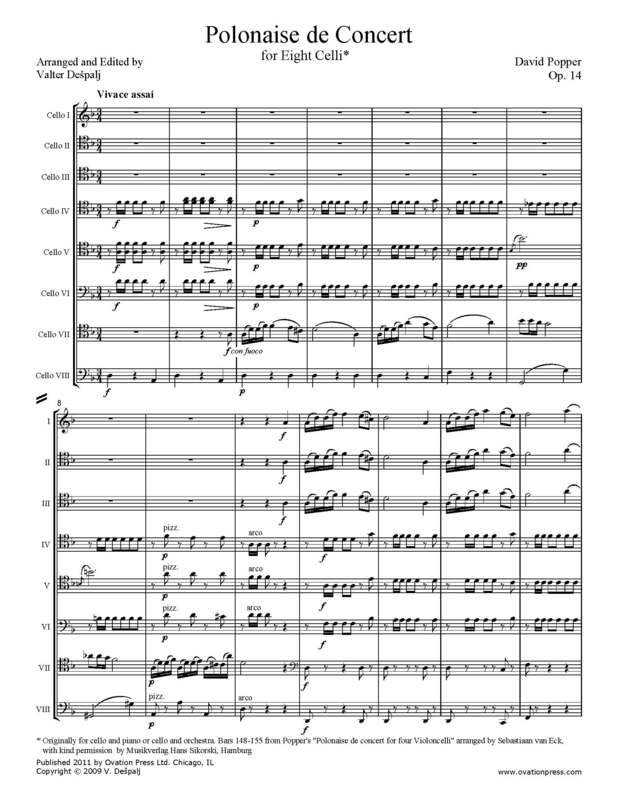 Here is an arrangement for cello octet, with the solo part shared by several players who, as it were, depict several characters in a lively exchange, sometimes in dialogue, sometimes competing but always having lots of fun. In the accompanying parts, I often suggest the use of the D string rather than the A, mainly to make more room for the soloist playing sul A but also sometimes to keep the fingers in a position that helps ensure good intonation.